She is the last agent of an ancient and secretive order committed to preserving justice. The Cowl now seeks justice on the streets of San Gabriel as she works alongside the Covenant of Justice to fulfil the final duties of the Shadow Order. All she can rely on are her skills, her trusty .45's and the mystical hood which gives her access to the experiences of every agent of the Shadow Order before her. 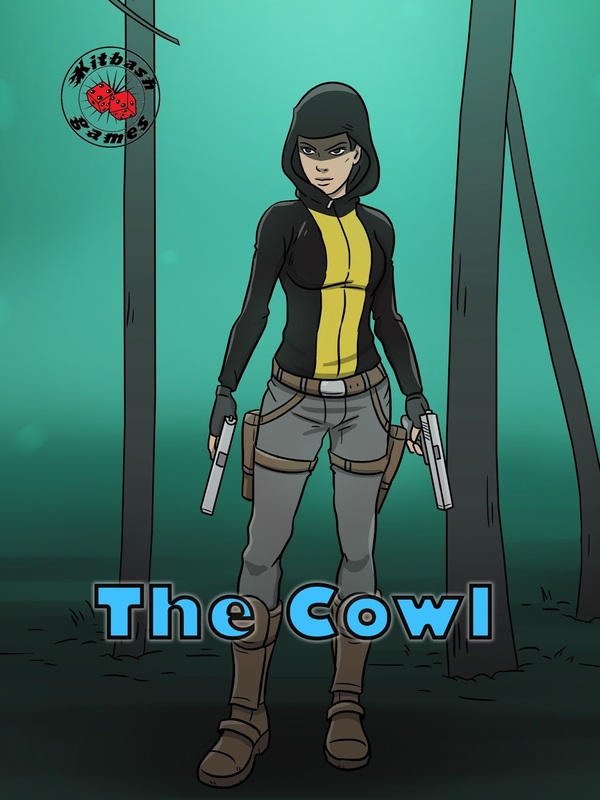 The Cowl has undergone more change than a character such as Ace. I first envisaged the character as a male protagonist, but realised that didn't need to be the case. The character also had a different name and a slightly back story before evolving into the design shown here. 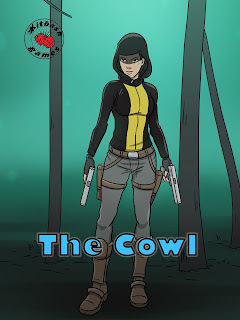 Although she carries a couple of guns, I don't picture The Cowl as a 'shoot first, ask questions later' type, instead they are her last-ditch back-up in a strange world of very powerful foes. She looks a bit like an interesting mix between a superhero and Lara Croft, but it works and suits her!